Shanghai Ballet's performances for the new season will reflect its accomplishments over the 40 years since its inception. 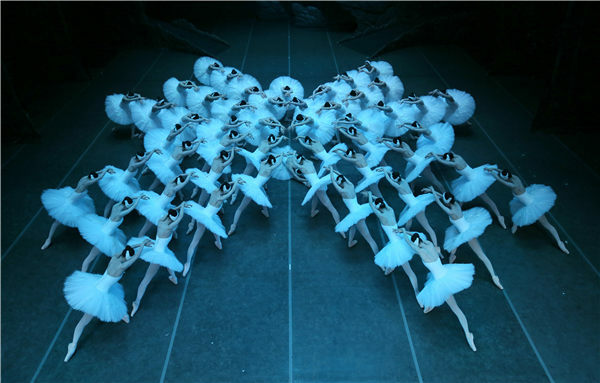 To mark its 40th anniversary this year, 12 productions on Shanghai Ballet's 2019 performance schedule will reflect the history and development of the company over the past four decades. "We are a company that has grown alongside China's reform and opening-up," says Xin Lili, director of Shanghai Ballet. "We inherited the creativity from several generations of artists in China, and we have carried on their pioneering spirit, and hope to continuously add new repertoires to the 167 projects created in our first 40 years." Xin says the company's 12 productions for the new season will feature a diversity in styles and subjects. "It is our most important repertoire, and one of the first theater productions to tell a story from China in the form of ballet," Xin says. "Each generation of our artists have performed it. Thanks to the efforts of many people, the production remains alive and popular."